Unable to open .doc and .docx attachments? Live Mail suddenly stopped allowing you to open attachments such as those ending with .doc and .docx or jpeg, jpeg ? 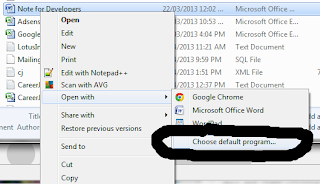 unable to open .doc and .docx files from your computer using Windows Live Writer? My clients PC and Windows Live mail was working fine until 12th September 2013, from when she was unable to open any such attachments from mail or from her Writer program and was prompted to purchase a copy of Microsoft Office. We solved the problem on her computer by finding a document with .doc or .docx and right-clicking it, selecting “open with” and then “default program” and “Microsoft Office Client Virtualization Handler” and repeated this on the .doc and .docx files. WINDOWS PICTURE VIEWER OR ANY DIFFRENT LIKE PAINT OR OTHER. From then on she could open the files on her desktop using the “Windows Live Writer” program installed.